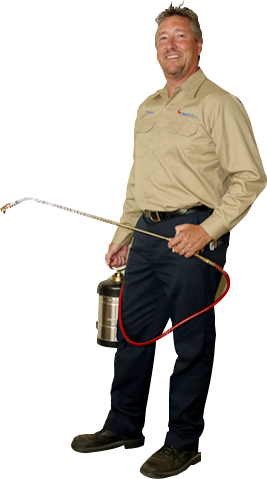 When it comes to pest control, we've got you covered. As a BBB A+ accredited full-service pest control service provider, your health, safety, and confidentiality are our top priorities. Since 2012, we've been fighting pests in the Rapid City and surrounding Black Hills areas. We provide both residential pest control and commercial pest control services. We know that bugs don't wait so neither should our customers. Our technicians are professional, responsive, and discreet. We believe that whether it’s your home or your place of business, getting rid of your pests is your business. Our service vehicles are unmarked so your neighbors or customers are not aware of what services are being performed. Some of the pests that we control include ants, spiders, cockroaches, mice, bed bugs, stink bugs, box elder bugs, and many more. If you think you have what it takes to be the best in the pest control industry, have a strong work ethic and a customer centered attitude you might be right for a career in pest control service with JanTech .